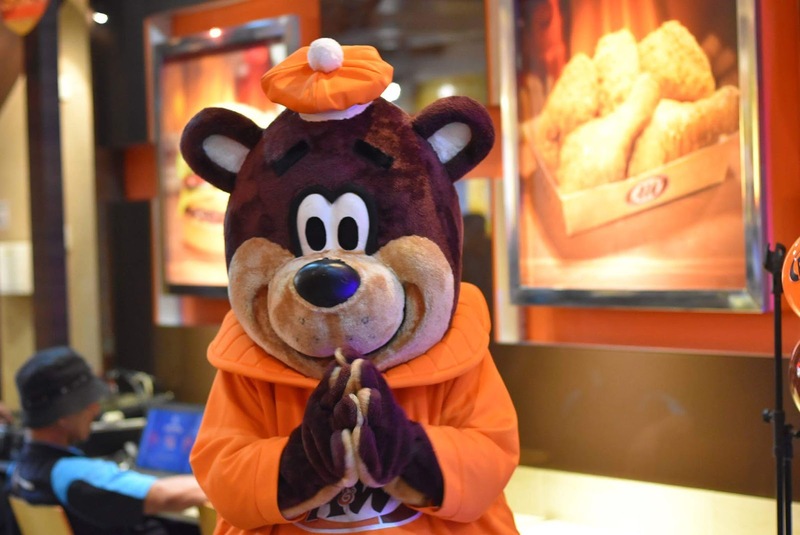 A & W (Malaysia) Sdn Bhd is the first fast-service restaurant that open in Malaysia . The A & W restaurant at Bt Road, Jalan Tunku Abdul Rahman, was opened on 31 October 1963 and is the first Restaurant in the country . After more than half a century in the country , A & W continues to maintain its identity with its well-known Signature brand new name RB Float (formerly known as Root Beer Float) , and also Beef Coney (formerly known as Coney Dog) . 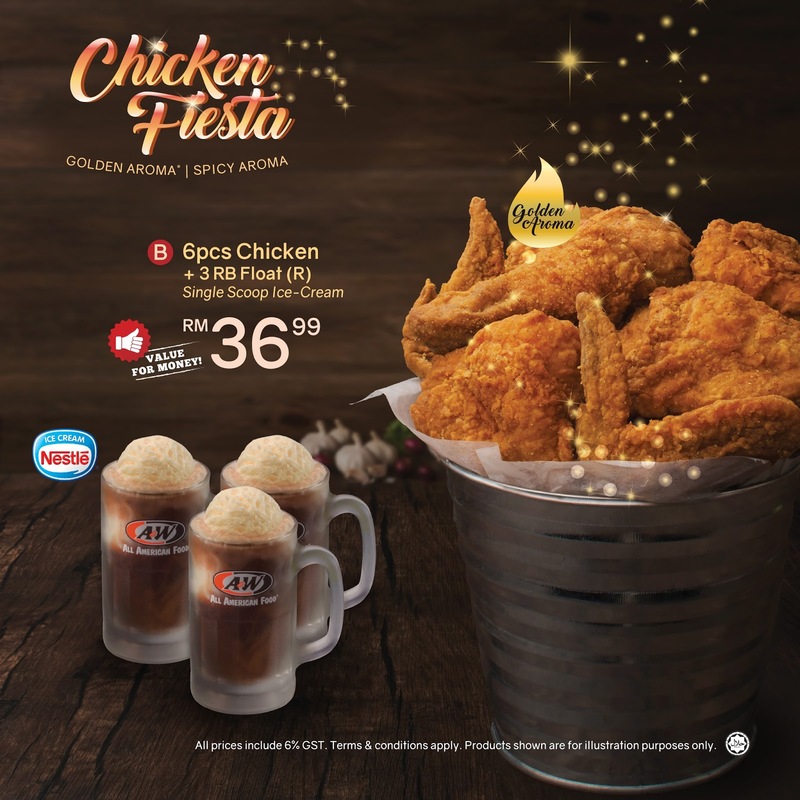 A & W introduce new products that famous for fans of fried chicken "Golden Aroma Chicken and Spicy Aroma Chicken" . Golden Aroma Chicken has it's own delicious from others fried chicken out there . 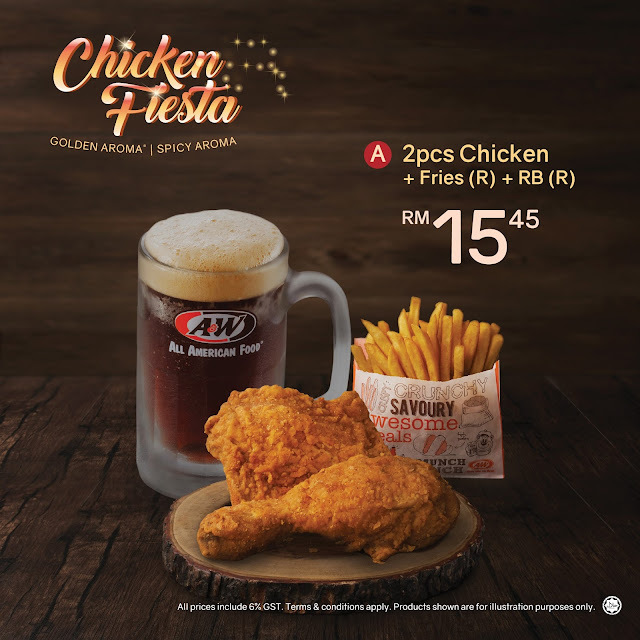 A & W chickens are freshly fried with special herbs and cooked to golden perfection . Most important is the juicy tender makes out great qualities . 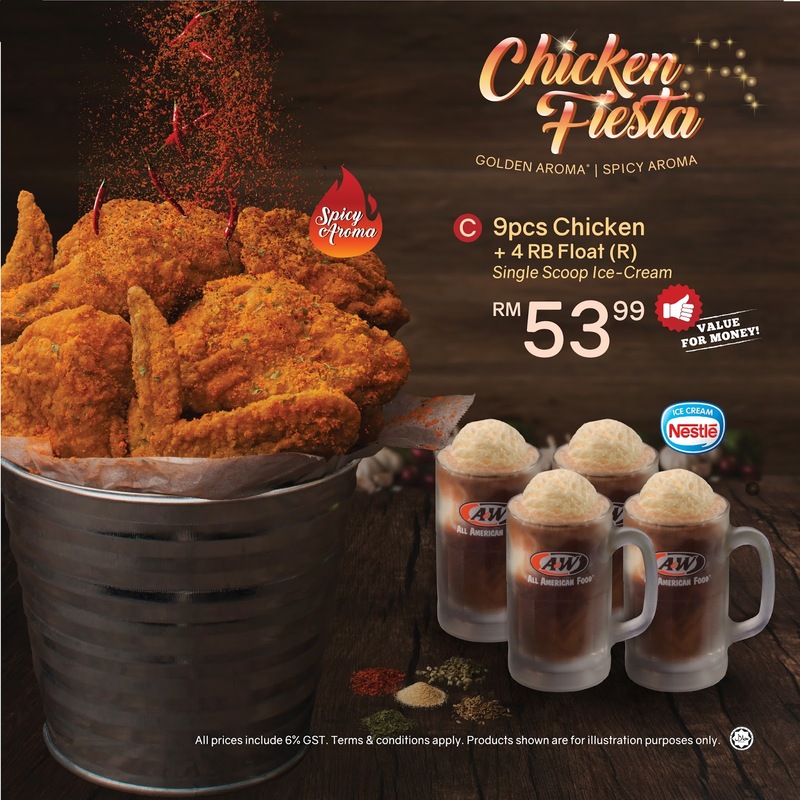 The spicy chicken can really be nominate qualified real Spicy chicken because Spicy chicken at others fast food chain out there is just a name without spicy . At A&W the spiciness is awesome and they serve freshly cooked chicken everyday . 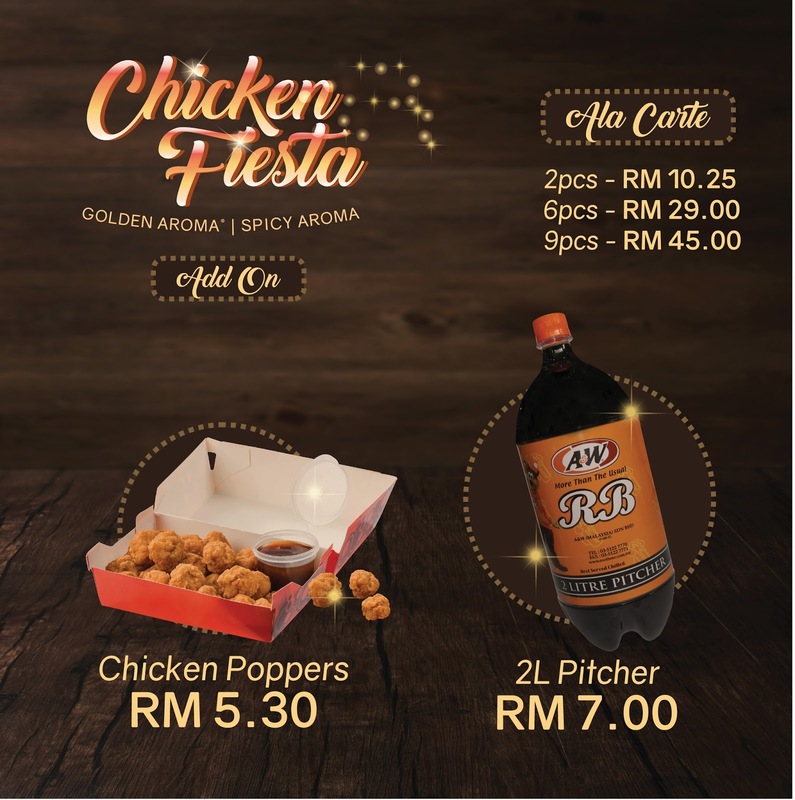 Starting From this 7th November and for the very first time Every A&W outlet In Malaysia will introducing Chicken Fiesta into the malaysian market with Combo set of Golden Aroma Chicken and Spicy Aroma Chicken side with RB Float to choice on two , six or nine piece of chiken from just only RM15.45 . Beside that , everyone definitely interested into RB Glass Mug when dining in A&W with the RB Float and wanted to own one . For so many years , The RB Mug is not available to purchase at any of the A&W Restaurants . But now For the first time , A&W Malaysia offers A&W Limited Edition 2017 Mug to purchase special to A&W fans that waited for so long . The A&W Mug purchasing will began from 11th October 2017 till end this year . Customers can get the Mug at nearest A&W outlet , while stocks last . The A&W Limited Edition Mug comes with omly large size(20oz) that all the way air flown imported from United States which is the leading manufacturer of A&W Mug worldwide . 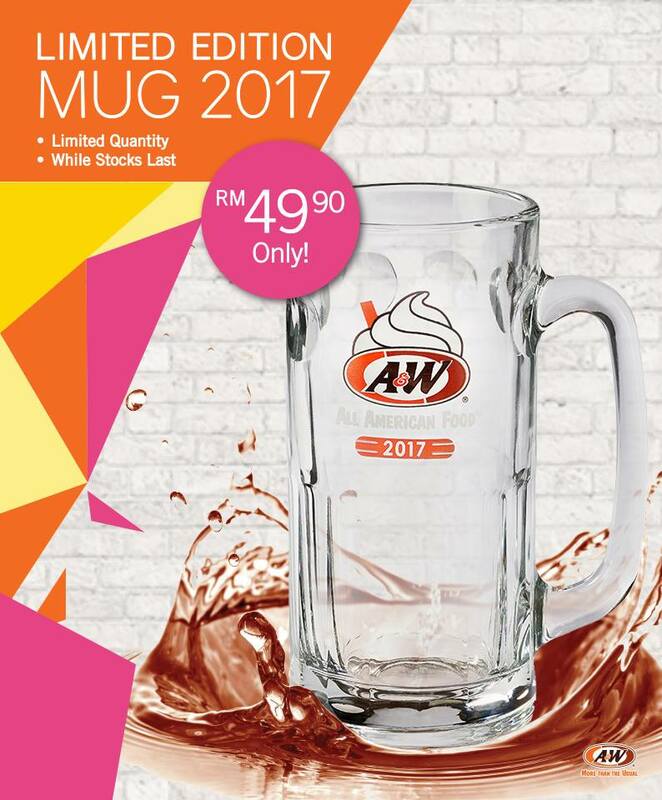 Price For the A&W Limited Edition 2017 Mug is selling RM49.90!